There will soon be another woman in Grammy-winning R&B star Ne-Yo’s life. The musician is expecting his first child – a daughter – with girlfriend Monyetta Shaw in January. Ne-Yo told People magazine that he and Shaw are busy picking names and preparing for their new arrival. He says he’ll be there for the birth as well. As for parenting advice, the 30-year old singer-songwriter says that he’s turning to his mom. Among the best advice he’s received so far: “Know how to toe the line between being a friend and parent. You don’t want to be too much of a friend but you don’t want to be so much of a parent that your child doesn’t have a friend in you,” he told People. 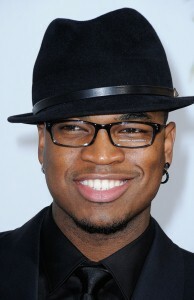 Ne-Yo is also preparing for a professional milestone. His fourth album, Libra Scale, will be released in October.